“Yes, my sweet, you may play.” The girl ran toward the back exit then stopped. Her small feet hopped on the reflecting kaleidoscope of colors, the sun’s rays gleaming through the painted glass. “I thought they matched your eyes.” She had gazed from the mangled petals to the contrite man intensely interested in his dusty boots. As she put the flowers to her nose, the sweet scent was her undoing. The tears had come unbidden and swift as Eliza clutched the first gift she’d ever received from a man. It had also been the earl’s undoing when she gave him a brilliant watery smile. “By Christ, woman, if you weep over wilted flowers, you’ll flood the Thames when I give you jewels.” She’d only nodded her head and sniffled. Carson had pulled out a handkerchief and awkwardly dried her cheeks. As she looked up at him, their eyes met and held. Something passed between them at that moment. Two lost souls finding the same purchase in a storm they’d battled all their lives. He’d kissed her then. His lips gentle and sweet. It had been a different kind of kiss from her wedding night. Not polite and careful but questioning and heavy with need. Her first taste of passion. Author Aubrey Wynne Bestselling and award-winning author Aubrey Wynne is an elementary teacher by trade, champion of children and animals by conscience, and author by night. She resides in the Midwest with her husband, dogs, horses, mule, and barn cats. Obsessions include wine, history, travel, trail riding, and all things Christmas. Her Chicago Christmas series has received the Golden Quill, Aspen Gold, Heart of Excellence, and the Gayle Wilson Award of Excellence. Aubrey’s first love is medieval romance but after dipping her toe in the Regency period in 2018 with the Wicked Earls’ Club, she was smitten. This inspired her spin-off series Once Upon a Widow. In 2020, she will launch the Scottish Regency series A MacNaughton Castle Romance with Dragonblade Novels. I thought this was a sweet story. I loved the whole idea and feel of the forest being a living entity- guiding, helping, responding. The forest gave Eileen a home- a place of refuge and security after she lost her father and I could really feel her attachment and love for it. The enchanted forest gave the story a magical and romantic feel. The characters felt very young with some immaturity showing through. This is a YA book and I would say probably on the younger end of that spectrum. I often felt frustrated with the characters and their reasoning but when I put back into perspective that this is a "young" young adult book, it didn't feel so off. Both main characters show growth and that felt really good as a reader. There is a good cast of secondary characters which had me hoping that maybe their story would be coming next. Overall I really enjoyed this debut novel from Camille Peters and I'm looking forward to more! This is a book that I would easily recommend to a young teenager and feel good about it. This book is just $.99 on Amazon right now (make sure and check price before purchasing) and it is also on Kindle Unlimited! 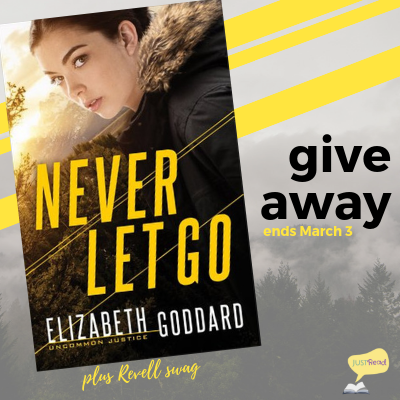 Never Let Go by Elizabeth Goddard + Win This Book! 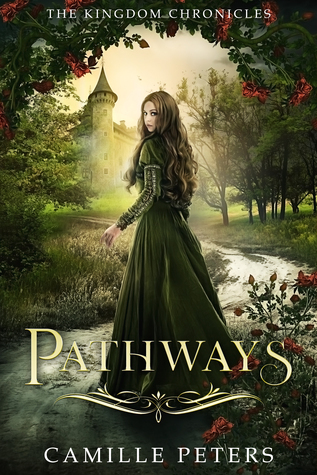 "Vandagriff's Regency Austen-esque romance is perfect for any reader who loves a good old-fashioned romance and can enoy the journey of two people learning not to fear love while learning how to have faith in each other." --Deseret News "Regency Romance in the style of Austen and Heyer. “Marry, kind sir, how com’st thou here?” He blinked his eyes, but the youth remained. His comely, almost feminine features had a puzzled look. Upon closer inspection, Buck saw signs of a bosom and smothered a grin. “I am a guest of the duke. My name is Captain Kernow-Charles,” he said, forgetting his new title. The apparition bowed from the waist. “Quite wrong, Captain. I am to make my curtsey to the Queen in the spring. I am a great many months older than seventeen.” He saw that she was beginning to shiver in her scant clothing.